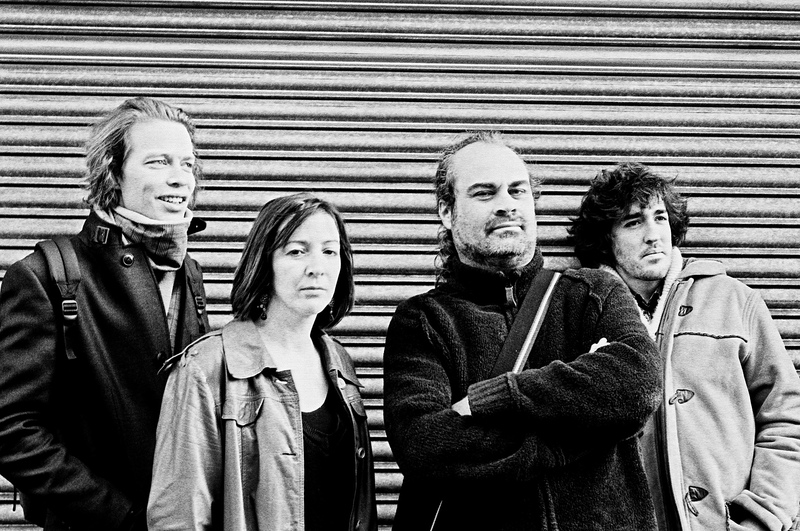 Described as “catching the current wave of Brit Jazz, by Jazzwise Magazine, ’Compassionate Dictatorship’ evolved out of the long standing collaboration between Jez Franks and Tori Freestone. Together with bassist Jasper Hoiby and drummer James Maddren, they have toured extensively since their debut album in 2007, honing and developing their sound, releasing a second album ‘Cash Cow’ in 2010 to rave reviews They’re now promoting their third album, ‘Entetaining Tyrants’ which is to be released on the ‘Jellymould Jazz’ label. Jez took up the guitar age 15 and attended Leeds College of Music acquring the College’s Jazz Guitar Prize. 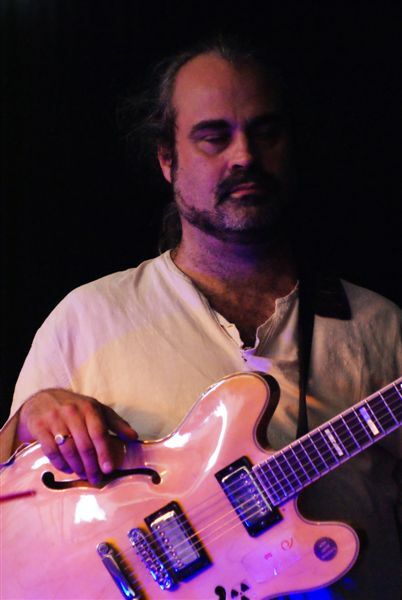 He has played,recorded and toured with a variety of ensembles including F-ire Collective member Tom Arthurs’ ‘Centripede’, Asaf Sirkis’ ‘Inner Noise’, the Koby Israelite Band, ‘Centreline’, Henry Lowther, Loz Speyer’s ‘Timezone’, Gerard Presencer, Rick Astley and ‘Solstice’ alongside Brigitte Beraha, Tori Freestone and John Turville, with recordings for Babel, 33 records and FMR and performances including the Cheltenham, London and Haskovo (Bulgaria) Jazz festivals, a live performance for Jazz on 3 and tours of Portugal, Poland and Austria. He also is part of the ‘E17 collective’, a group of jazz musicians set up to promote and develop the hotbed of talented musicians based in Walthamstow, London. Tori attended the Leeds College Undergraduate and Guildhall Postgraduate jazz courses and was regional finalist of Young Jazz Musician of the Year in ’96. Apart from co-leading ‘Compassionate Dictatorship’ and running her own trio, she has played saxes/flutes/violin with a variety of groups including NYJO, the Creative Jazz Orchestra, country legend Lee Hazlewood and Andy Sheppard. 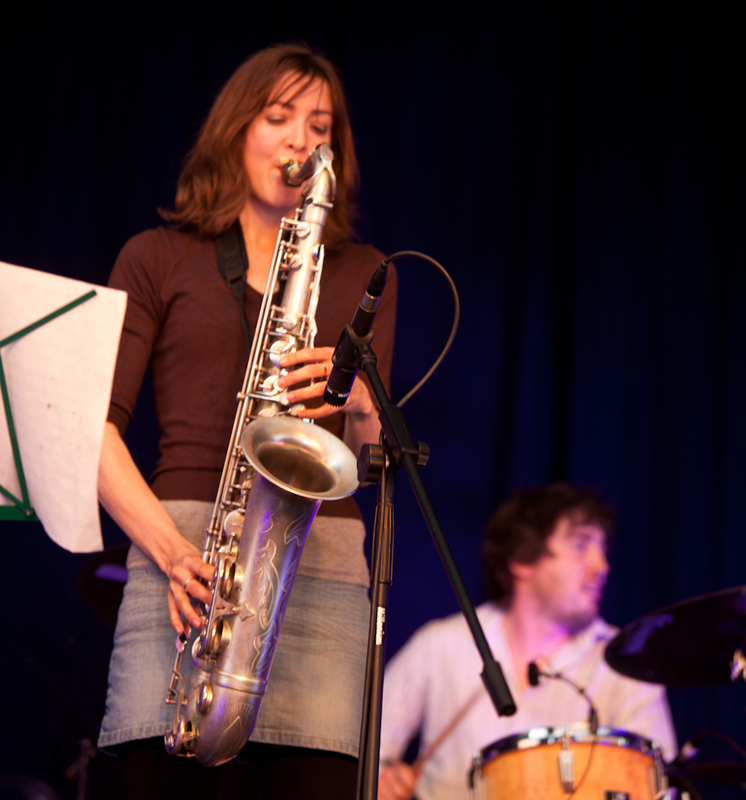 She currently plays with members of the Loop Collective in the Ivo Neame Quintet, Ivo Neame’s Large Ensemble (featuring on the album ‘Yatra’ released on Edition records in 2012) and Rory Simmons’ ‘Fringe Magnetic’ (with three album releases since 2007). She also works with the London Jazz Orchestra, Neil Yates, the Jamil Sheriff Big Band, the Naadia Sheriff Quartet, the Dave Mannington Septet, the E17 Big Band and ‘Solstice’ (alongside Jez Franks, Brigitte Beraha and John Turville), with recordings for the ‘Loop’ , FMR and Edition labels and performances including the London, Cork, Cheltenham, Haskovo (Bulgaria), Elb (Germany) and Manchester Jazz Festivals and Jazz on 3. James was born and brought up in Christ’s Hospital School in Horsham, Sussex. When still at school, he travelled to London to study with one of Europe’s top multi-instrumentalists Jim Hart who Maddren cites as a significant early influence and inspiration. 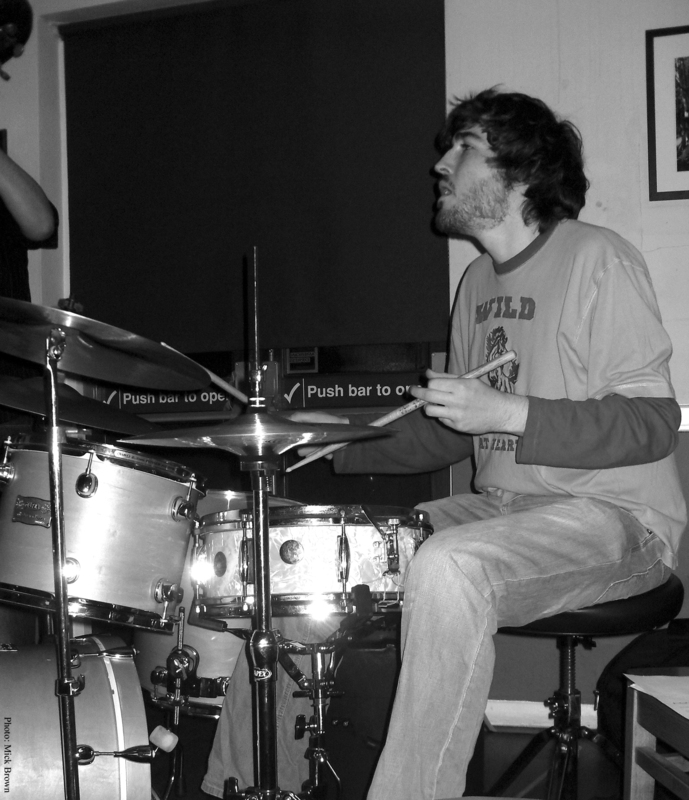 He left CH in summer 2005 to study jazz percussion at the Royal Academy of Music in London with Martin France as his drum tutor, leaving with a first class honours and the principal’s award for outstanding studentship. 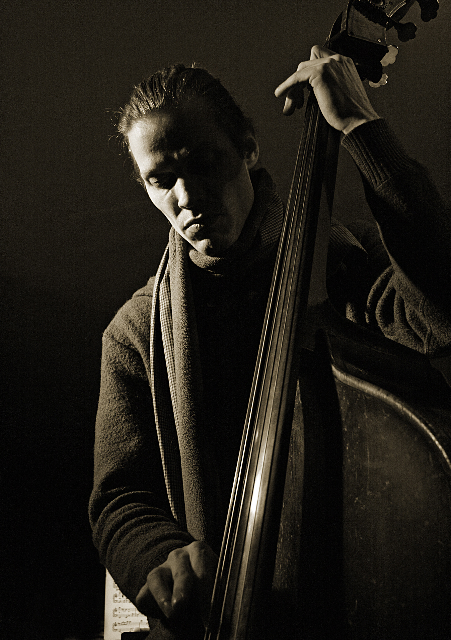 James has shared the stage with many artists and ensembles including the Marc Copland/Stan Sulzmann quartet, Gwilym Simcock, Kit Downes Trio, the Mark McKnight Quartet featuring Seamus Blake, Ivo Neame Quartet, Phil Donkin, Will Vinson, Martin Speake quartet, Phronesis, Jonathan Bratoeff quartet, Tangent, Andrea Vicari quintet and Claire Martin with performances and venues and festivals all over the UK, Euorpe and the US.